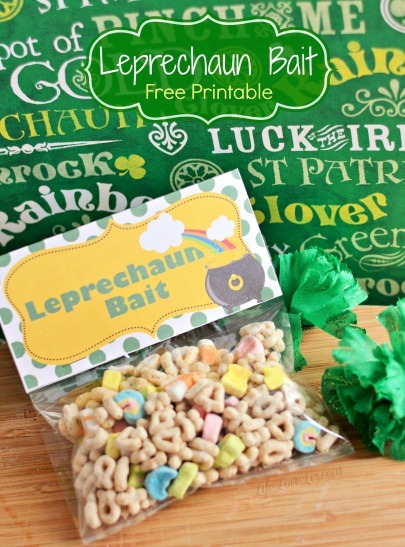 Celebrate St. Patrick’s Day with this fun Leprechaun Bait printable! You can fill the bags with gold foil wrapped coins, lucky charms, this adorable St. Patrick’s Day Muddy Buddy Mix or just about anything else you can think of. They are perfect for St. Patrick’s Day parties or even just as part of a fun school lunch on St. Patrick’s Day. These printables are super simple to use just follow the instructions below! For Bag Toppers, click on the image directly below and print out the sheet from the pdf and cut out the cards. Place a ruler down the middle of the backside of each and score a folding line with a butter knife. Fold the topper in half and make a center crease. Insert filled bags inside of folded topper and staple to the bag. Catching a Leprechaun can be real tricky business and you have to be serious about it. The first thing you need to do is build a trap. You need to get creative and make sure your trap is unique. Next you need your bait. The very best leprechaun bait to use are coins. Real coins or chocolate coins or homemade coins, it won’t matter. Leprechauns will fall for it. Remember that Leprechauns love rainbows. the colour green, four leaf clovers, and lucky charms. The use of any combination of these will almost ensure you get lucky catching one. The most important part when it comes to catching a Leprechaun though is just to have fun! 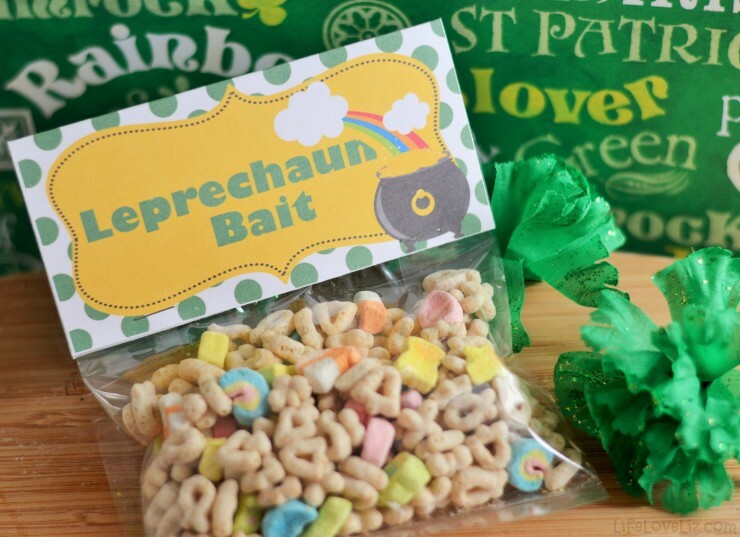 Enjoy and have fun with your leprechaun bait! I love this idea for leprechaun catching! Lucky charms were considered an especially sweet treat which we mostly only took along for breakfast when camping.